Speaker: Ahad Ali of Lawrence Technological University. Speaker: Steven Sibrel of Harman International. A training certificate will be provided. Professional Development Equivalent to .8 CEU This one day workshop provides participants with an understanding Production Part Approval Process (PPAP) and related topics including quality planning, evaluation, requirements, product and process changes in automotive and other manufacturing applications. Ahad Ali is an Assistant Professor, and Director of Master of Science in Industrial Engineering in the A. Leon Linton Department of Mechanical Engineering at the Lawrence Technological University, Michigan, USA. He is the Director of Smart Manufacturing and Lean Systems Research Group. Dr Ali has done research projects with Chrysler, Ford, DTE Energy, Delphi Automotive System, GE Medical Systems, Harley-Davidson Motor Company, International Truck and Engine Corporation (ITEC), National/Panasonic Electronics, New Center Stamping, Rockwell Automation, and Whelan Co. His research interests include manufacturing, simulation, optimization, reliability, scheduling, manufacturing, and lean. He has published journal and conference papers. Dr. Ali is the founder and conference chair of the International Conference on Industrial Engineering and Operations Management (IEOM). 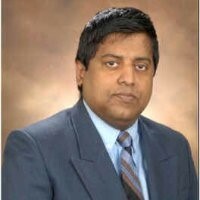 He is member of IIE, INFORMS, SME, IEOM Society and IEEE. He earned B.S. in Mechanical Engineering from Khulna University of Engineering and Technology, Bangladesh, Masters in Systems and Engineering Management from Nanyang Technological University, Singapore and PhD in Industrial Engineering from University of Wisconsin-Milwaukee. 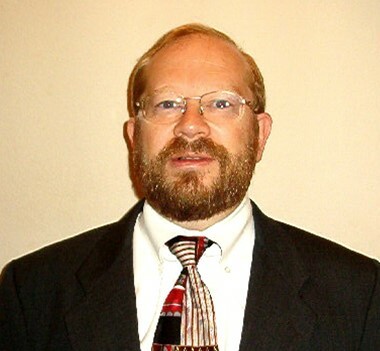 Steve Sibrel is a business process improvement trainer, coach and auditor with over 35 years of experience in the business and manufacturing world. He is currently working as Senior Supplier Quality Manager at Harman International, a manufacturer of audio and infotainment systems for consumer, professional, and automotive industries, with well-known brands such as JBL, Lexicon, Crown, Infinity, Mark Levinson, Becker and Harman-Kardon. Previously he held a number of engineering and management positions in diverse industries at Applied Materials (Semiconductor), NEC (Telecommunications) and Texas Instruments (Military). He has conducted over 200 supplier audits in North America, Europe, and Asia and is a Lead Auditor for ISO/TS16949, ISO9001, ISO13485, ISO17025, and 21CFR820. He has been the Chair for Professional Development for the ASQ Detroit section since 2008. He received the Distinguished Service Award in 2008 and the Leadership Award in 2013 from ASQ. Current ASQ Certifications held are Six Sigma Black Belt, Quality Engineer, Quality Inspector, Quality Auditor, and Manager of Quality/ Organizational Excellence. He is an adjunct facility member at Macomb Community College. Steve has a BSEE degree from Rose Hulman Institute of Technology and an MSEE degree from Southern Methodist University.